London - Bono and Liam Neeson will add star power to Ireland's bid to host the 2023 Rugby World Cup as the contenders go head to head with France and South Africa in London on Monday. France and South Africa have hosted the tournament before but Ireland are pushing to host it in full for the first time. They held some matches at the 1991 and 1999 events. 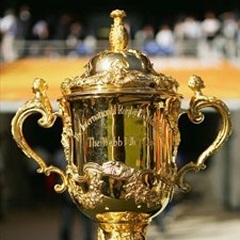 The World Rugby Council will hear the presentations and the Rugby World Cup Board will make its recommendation on October 31 before the final decision on who will host the 10th edition is made on November 15. France has a proven track record in hosting major events, most recently Euro 2016, together with impressive infrastructure. But the French federation was made to issue a humiliating public apology by World Rugby for tweeting they were the best of the trio based on the world governing body's figures. Dark clouds too surround federation president Bernard Laporte, who is under an investigation ordered by the French Sports Minister Laura Flessel for allegedly putting pressure on the federation's appeals board to reduce punishments imposed on Top 14 side Montpellier, whose club owner Mohed Altrad is the biggest contributor to the 2023 campaign. Laporte has admitted his company signed a contract with Altrad worth €150 000, which has been openly criticised by other club presidents. It appears neither French President Emmanuel Macron nor Prime Minister Edouard Philippe will travel to London, which has been interpreted by some as distancing themselves from Laporte, though Macron will send a message by video. France-based New Zealand legend Dan Carter announced late in the week he would not be present for Monday's event in London though he has maintained his support for the bid. The Irish are bidding to host their biggest-ever sporting event - and will be emboldened by their successful staging of the women's version this year. They will hope the problems being encountered with Japan do not affect their appeal to open up the hosting to new blood. Japanese organisers were warned this month to accelerate their preparations for the 2019 Rugby World Cup, with training venues a key area of concern. The Republic of Ireland's Taoiseach (prime minister) Leo Varadkar will be in the presentation team with rock star Bono and actor Liam Neeson as well as Bob Geldof. Neeson has done the voiceover for a video and Geldof recites a poem. The key message is that with a worldwide diaspora of 70 million, an Irish bid can attract countless new followers to the sport and help crack the North America market, with 35 million Irish Americans in the United States. The main downside could be over public transport infrastructure. Like France, South Africa has a proven track record in hosting major events including the 2010 football World Cup and 2013 Africa Cup of Nations, which also left them a valuable legacy in stadium facilities. The country entertains huge swathes of tourists every year, making it look an attractive contender. It has a notoriously high crime right although, unlike France, has not been a target of terror attacks. The government has belatedly swung behind the bid, only coming on board in mid-2017 because they felt racial transformation targets had not been met. The South Africans have pledged €160 million - the highest of the three bidders - but a struggling domestic economy, which could affect home fans' attendance, and a poor rail network could count against them. They will hope familiarity does not breed contempt as this is their fourth successive bid.